Wow, I haven’t posted in a while! I guess it’s been a busy start of the year for me. On the photography side of things, I am working on a few projects, some are just taking a bit of time to take off. But don’t worry – soon I will be posting some beautiful photographs for your eyes to enjoy! 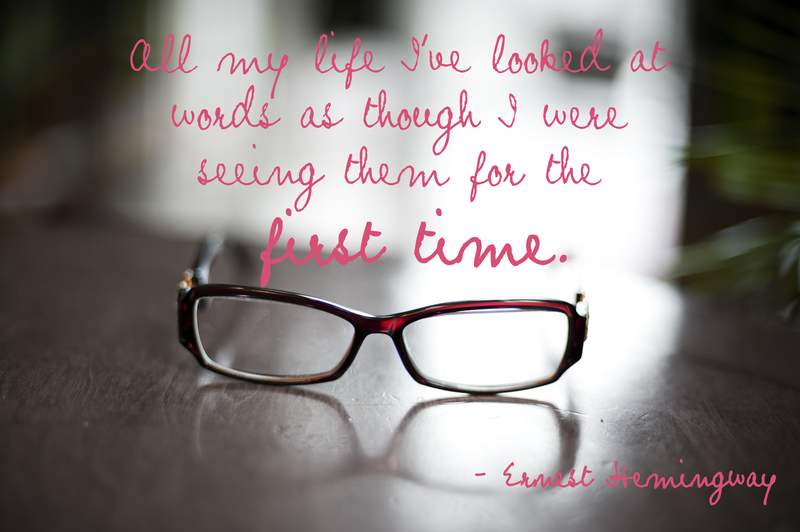 Oh I love me some Hemingway, and I love this quote. We can apply it to photographs too. Don’t ask how but we just can, ok? Just do it. By the way, I encourage you to click on my photo below and see if the quality improves. What the frak WordPress?